All throughout the month of September you can earn big bonuses at Swagbucks, the rewards site where you earn points (called SB) for things you're probably doing online already, like searching, watching videos, discovering deals, and taking surveys. 2. Earn 300 SB total before 10/1/17. 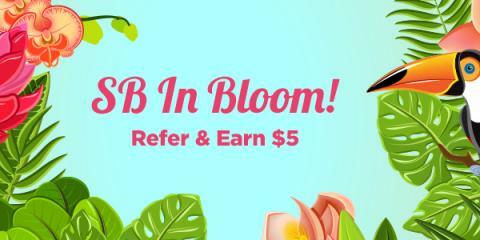 You'll get a $3 (300 SB) bonus for it! If you have some shopping to do online, just go to Swagbucks first and visit the store through them. It doesn't cost you anything extra, but you'll get SB points for every dollar you spend (on top of the bonus)! I use it myself, and I've earned a grand total of 33,7925 SB so far (That's $3,379.25!) - and bought myself all sorts of electronics, including a big screen TV, a gazebo for my back yard, a 2nd hand truck, and so much more!